Every customer will interact in a different way with whichever game you choose. Before they make their purchase, they can view a Find out more page, and afterwards they will be able to play the game, either on their order confirmation page or on a special game page. 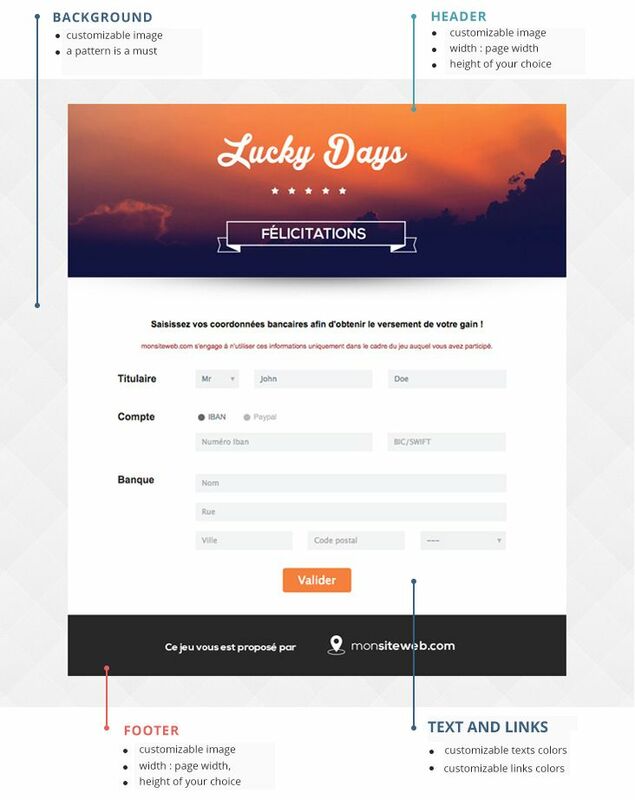 If a customer wins, they then enter their payment information on a specific page. Note: the background can be the same on all three pages. Winners' payment details are gathered on the Payment information page. We recommend that you customise the header with a congratulatory message. A footer (optional): size 800 px wide, any height / jpg format.